The annual Hanford Cow Run half marathon and 5k, held on Sunday, saw 535 runners take to the streets of for an early morning race. Yvonne Jessup of Hanford won the Female 5K race with a time of 22:54 at the 2019 Hanford Cow Run. 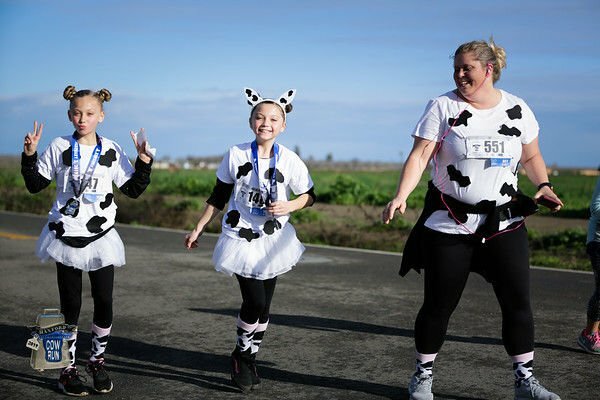 The annual Hanford Cow Run half marathon and 5k, held on Sunday, saw 535 runners take to the streets of for an early morning race. Here is a list of the winners. Jesus Campos of Fresno won the half marathon in the male division with a time of 1 hour, 28 minutes. Gregory Bryant of Lemoore and Martin Munguia Jr. of Riverdale finished in second and third place. In the female division, Alyssa Houtby from Visalia won with a time of 1 hour, 27 minutes. Kelsea Baker of Lemoore finished in second place, while Kelly English of Fresno took third. Corey Loewen took the top spot in the Male 5K with a time of 20:01, while Hanford’s Jonathan Garcia finished in second place with a time of 20:20. Tah-Wun-Nahl Gibson of Porterville took third. Hanford's Yvonne Jessup won the Female 5K race with a time of 22:54. Abigail McKean, also from Hanford, took second place with a time of 22:55. Barbara Johnson of Visalia finished in third place. 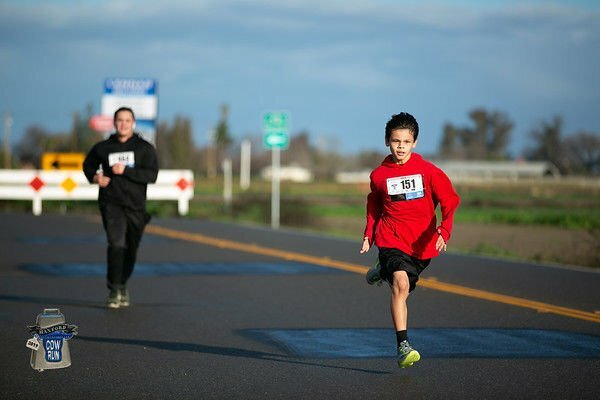 Mason Castaneda, 11-year-old from Hanford won the boys 5K race with a time of 23:15. Omar Lopez, also of Hanford, took second place with a time of 25:05, while Kingsburg’s Franklin Ethridge finished in third place. Eva Harper, an 8-year-old from Hanford, won the girls 5K race with a time of 27:19. Adrianna Jones, also of Hanford, took second place with a time of 29:10, while Samirah G-Nieto of Porterville took third place.